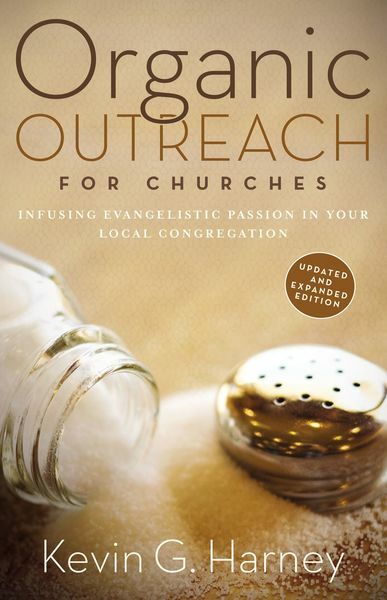 Nearly all churches and ministries consider themselves dedicated to evangelism, and many explicitly include outreach in their mission statements. But few are actually bearing fruit. Kevin Harney diagnoses this problem and offers guidance for multiplying the outreach impact of churches. Organic Outreach for Churches provides direction for local congregations to weave evangelism into the fabric of the church. Commitment to the Great Commission is not simply about sending money and prayers to missions or holding occasional events to reach out (although these things are good). Organic outreach happens when evangelistic vision and action become the domain of every ministry and the commitment of every person in the congregation. This will not happen accidentally. There is huge spiritual and practical resistance to such changes. But the only way evangelism will become an organic part of a church is when every leader and each member is gripped by a commitment to proclaiming the gospel. This book is a roadmap for pastors and leaders who wish to infuse evangelistic passion into every aspect of their church's life.